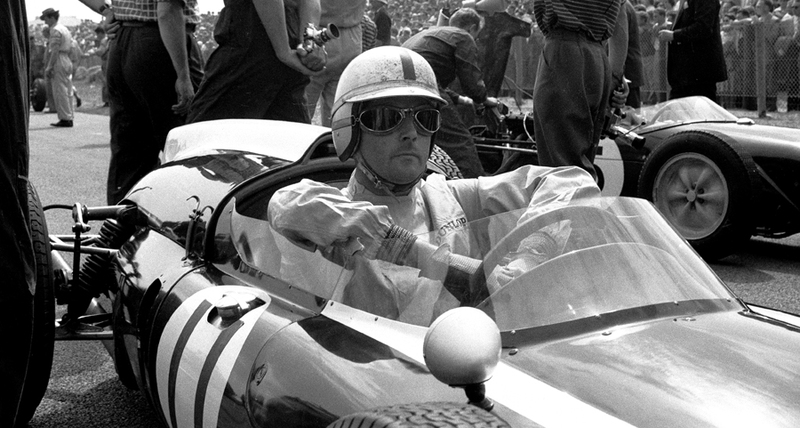 After failing to score any championship points in the first two races of the season, Jack Brabham returned to form with a resounding win in the Dutch Grand Prix among the sand dunes at Zandvoort. His first win in almost 11 months, this proved to be a turning point in the world champion's fortunes. Ahead from the start, Brabham was involved in a scrap with Stirling Moss for the lead, but pulled away when Moss had to pit on the 16th lap in order to repair a burst tyre. As he was getting close to the Australian, a large chunk of concrete was dislodged from the kerb by Brabham's Cooper and flew in to Moss's car, causing the puncture. "I lost control and shot across the road because I was taking a corner, and there was a big wood there and I thought 'Well, this is my lot'," he said. "I managed somehow to regain control in time… the tyre was burst, my second position was lost and I had to get back to the pits." Sidelined for nearly three minutes, Moss lost any chance of catching Brabham, but he never gave up trying. Resuming the race back in 12th, he charged through the field, setting a new lap record in the process. To the delight of the Dutch crowd, who adored the flamboyant Englishman, Moss clawed his way back to fourth, just unable to catch Graham Hill, who finished third in his BRM. Earlier in the race, championship leader Bruce McLaren retired on the eighth lap after a transmission problem, and three laps later tragedy struck when the American Dan Gurney spun off at high speed and his car hit a spectator. At the same corner where McLaren came to rest, Gurney's BRM skidded off into the sand dunes, crashing through a group of young men and killing 18-year-old Piet Aalder. Gurney was thrown free from the car, which was completely wrecked, and was unhurt. The young Jim Clark, making his debut for Colin Chapman's Lotus team, created quite a stir, contesting fourth place with Hill until his transmission failed on the 42nd lap and he had to retire.